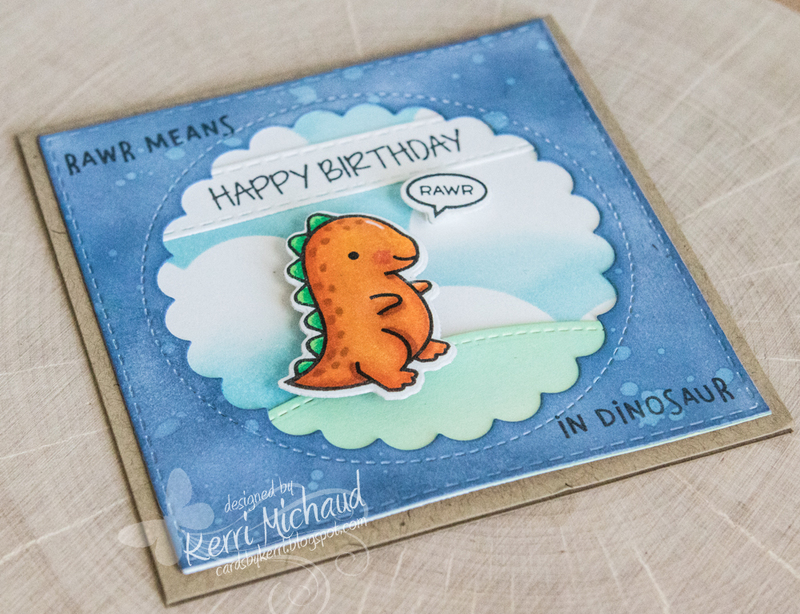 Lawn Fawnatics Challenge #22-One More Card! Hello! I'm sneaking in one more card for the Inky Fingers Challenge! 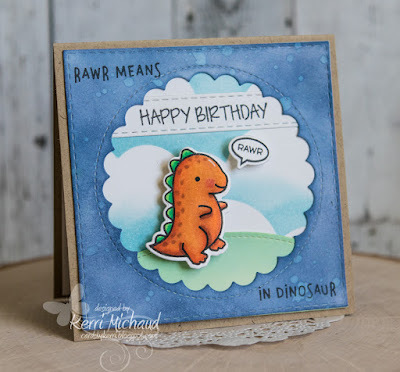 This time I used the darling Rawr Stamp Set and Lawn Cuts-adorable! I started by sponging my background using Tumbled Glass Distress Ink for the sky and then cut a hill using the Stitched Hillside Borders Lawn Cuts. I then sponged the hill with Cracked Pistachio Distress Oxide Ink. For the frame, I sponged a piece of white cs with Faded Jeans Distress Oxide Ink and splashed with some water. I then used the Outside In Stitched Scalloped Circle Stackables to cut my opening. So cute!